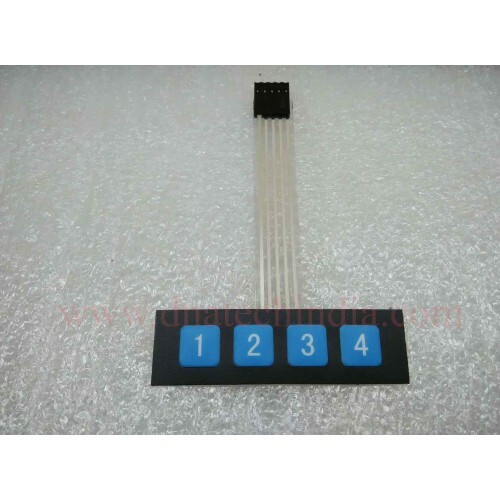 Buy online 1x4 KEYPAD WITH MEMBRANE SWITCHES at low price from DNA Technology. All India delivery. 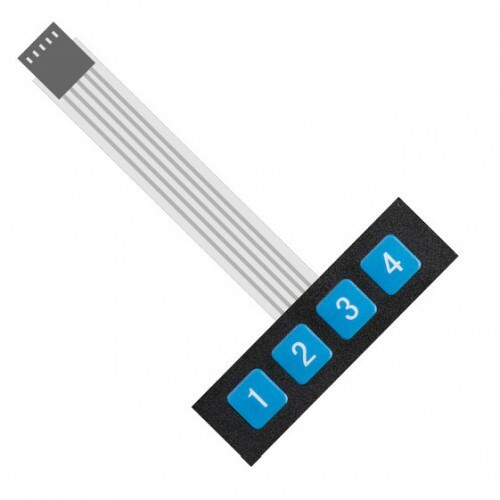 Want to interface switched to micro-controller? Forget using tactile switches and doing the wiring. 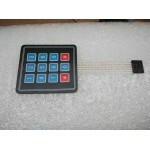 Use this Membrane Keypad with four switches. Every key in the keypad has its own individual wire so you can use the same code that you use for four switches no special coding is required. This keypad also has strong adhesive tape at the back so you can stick the keypad where you require. Note: Image is for reference only. The text on the keypad may vary or even may not be there. 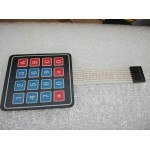 4X3 MATRIX KEYPAD WITH MEMBRANE SWITCHES This is a Low cost 4X3 Matrix Keypad with 12 Membrane ..
4X4 MATRIX KEYPAD WITH MEMBRANE SWITCHES This is a Low cost 4X4 Matrix Keypad with 16 Membrane ..